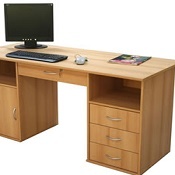 Computer Desks UK. Home Office Desks. Home Office Furniture. 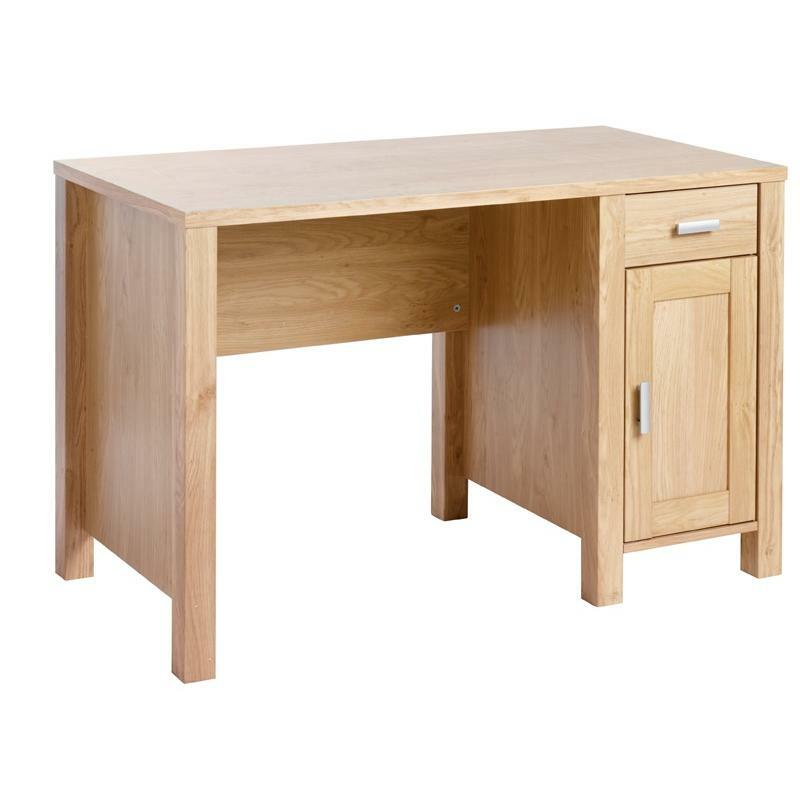 A traditional oak effect computer desk which boasts an abundance of storage space due to the integrated drawer and roomy storage unit. The solid oak effect finish, the inset panel-leg design with chunky square legs and chrome handles provide a contemporary flare to this stylish space-saving workstation.The simplistic and compact design ensures that his workstation can be positioned in any room within the home and the oak effect finish will compliment any colour scheme.